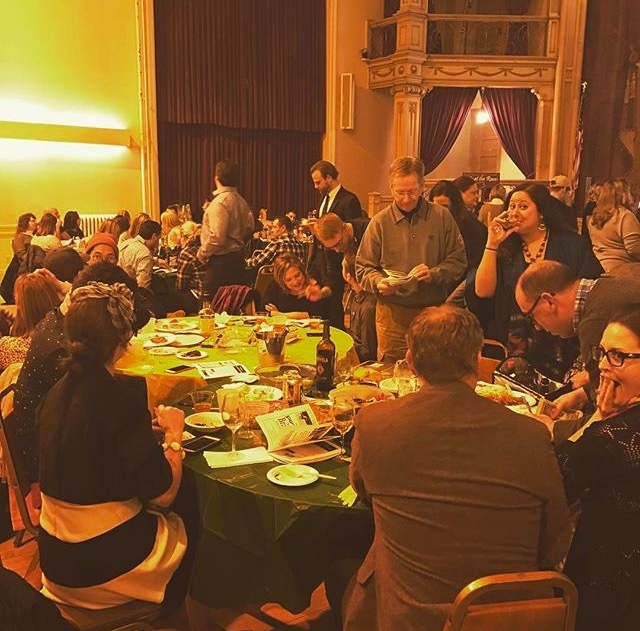 Slavic Village Development’s annual “Nite at the Races” is around the bend in late January 2019 (date TBD) at historic Bohemian National Hall (4939 Broadway) in Cleveland’s Broadway Slavic Village neighborhood. Never been to a “Nite at the Races” before? At SVD’s annual event, over 250 party-goers enjoy an evening out with friends while betting on video recorded horse races. The food is plentiful and the beer flows freely (for free); never has there been a better combination for gambling. Bonus: it’s for a good cause–to support the community work of Slavic Village Development! This is how it goes down: your tickets get you grub and drink, and allows you to bet on the evening’s eleven video races. If you’re trying to rake in even more cash, you can “buy” a horse, and name it. $20 enters your horse in one race; if your horse wins, you take home $30! Horses must be purchased by January 20th (see links above and below to purchase online). Make sure you give your horse a good name–steeds entered in previous years include Willie Makit, Glue Factory, and Czech Yourself Before You Wreck Yourself. Wonder who will be racing the classic horses Stud Muffin and Brancatelli’s Babe? Program ads are available for $25 for ¼ page, $50 for ½ page, $100 for full page, $125 for a full page in the centerfold. For more information contact Andrew Kinney at 216-429-1182, ext. 141; or you can e-mail him at andrewk@slavicvillage.org. Click the links to find more info on Facebook or Evenbrite !